Registration is now open for the 2nd Annual 5K Road Race and Fun Run! 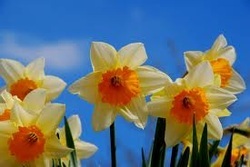 If winter has got you down, then THINK SPRING! And start training for this fun event that benefits our Expansion Initiative. Last year's event was a great success and we expect this year's to be even bigger. If you aren't a runner, then take a leisurely jog or stroll on our short "Fun Run" (especially good for kids). Or just come join the fun - there will be a DJ, food and lots of great community spirit. Registration is now open for the event, see all the details on our event page. IACS Celebrates 2nd Annual Fall Relay! October 19th was a beautiful, sunny day to have our second Annual Fall Relay Event, where teams of participants managed to raise over $20,000.00. 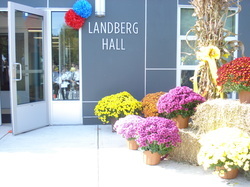 The relay event was preceeded by the ribbon-cutting ceremony for Landberg Hall, our new building for grades 5 and 6, and although students and teachers have been enjoying this beautiful facility since school opened, it was the first opportunity for many families to take a tour of the building. Now we are onto our next major goal - raising money for a multi-purpose recreation center!!! Please read the article to get all the details on the ribbon-cutting ceremony and relay event and links to some great pictures of Landberg Hall.